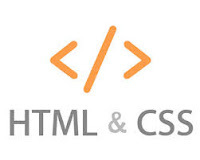 HTML and CSS are the basic programming languages used for creating websites. 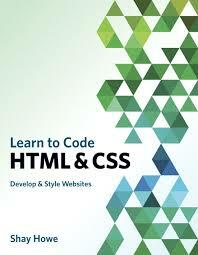 Mainly html is hyper text markup language its not a programming language and css is for design and style only. Every website you see on the web are built with HTML and CSS. HTML is the programming language used for creating the structure of the website and CSS is a programming language used for styling out and positioning elements on the webpage. And today I am going to give you some of the best recommended HTML and CSS beginner books you can use to study. 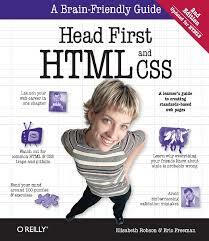 Head First HTML and CSS by Elisabeth Robson and Eric Freeman is great introductory book for novice new to HTML and CSS. The authors of this great book clearly explain both languages in fun and easy way for you to understand. 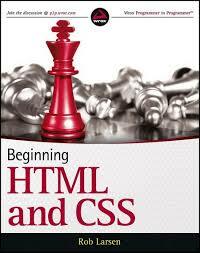 This covers the basic of HTML and CSS to more advanced topics. After using this book you will become an instant intermediate website builder. In this book you will learn the syntax of HTML and CSS and also learn how to add background color and images to your webpage with CSS and much more fun stuff. 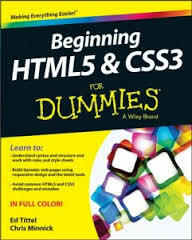 Beginning HTML5 and CSS3 by Ed Tittel and Chris Minnick is another great HTML and CSS beginner book. The authors of this book cover the entire overview of HTML and CSS and how webpages come to live on the internet. Throughout this book you will get a deeper understanding of how HTML works and also learn every syntax of the language. CSS will also be introduced and you will also know how CSS works. This is a recommended book to anyone who wants to learn web designing. Learn to code HTML and CSS by Shaw Howe is a beginner book for novice who want to learn how develop and style out websites. Throughout you will learn some common HTML terms and also learn how to setup the HTML document structure and later on learn how to style webpages with CSS. After using this book you will gain a solid programming skill to start building websites. 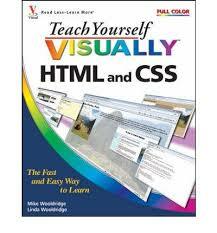 Teach yourself visually HTML and CSS is an easy and fast way to learn how to build websites with HTML and CSS. Throughout this book you will the syntax of HTML, learn how to view your code in your browser, start and save HTML documents, learn how style your document CSS, control the position of element on your webpage and many more. I hope that these books I have discussed about will help you acquire the skill used in building websites. Your comments and suggestions can help us. If you know any good HTML and CSS book, you can share with us and other readers in the comments.